Aburi Girls Secondary School 94/96 year group last month embarked on a windshield cleaning exercise at the Airport Shell filling station to raise funds. Over 25 ladies from Aburi Girls Secondary School 94/96 year group last month embarked on a windshield cleaning exercise at the Airport Shell filling station to raise funds. The day was full of fun and colour while working towards a good cause. 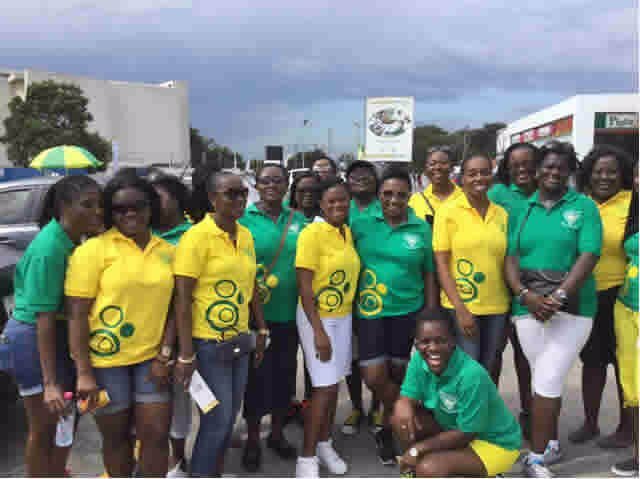 The Airport Shell station was taken over by ladies spotting the Aburi Girls colours of green and yellow, cleaning windscreens and raising funds from motorists who had stopped to refuel. 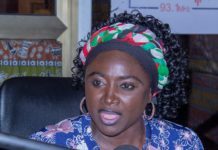 Commenting on the exercise, the President of the association, Mrs. Theresa Maame Ekua Galley, said this was a precursor of many more events spearheaded by the 94/96 year group to raise funds to support development projects of the Aburi Girls High School. #Aburi Girls Secondary School 94/96 year group last month embarked on a windshield cleaning exercise at the Airport Shell filling station to raise funds. Previous articleCurfew imposed on Alavanyo and Nkonya townships in the Volta Region has been renewed. 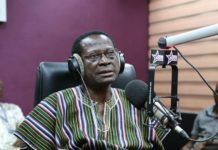 Next articleTwo popular sport presenters in Takoradi have been hauled before a Takoradi District Court by Focus One Media Group, operators of Spice FM, Beach FM, and Radio Maxx, for failing to honour a contract.